Lock in a great price for Best Western Hotel de Ville – rated 8 by recent guests! Spotlessly clean hotel, excellent staff and not far from the autobahn. Perfect. The Bistro de Ville was fully booked for a birthday party but there is a choice of restaurants close by. I went to Sale e Pepe, an Italian restaurant within 100 meters of the hotel, and had a delicious meal. As we had to leave in the morning before breakfast was served, the hotel kindly offered to prepare breakast “packages” for all of us (6 persons). We picked them up in the morning when leaving. Very good quality! It was a highly appreciated service. The hotel was very dated and needed refurbishment. Neither the bar nor the restaurant was open as the staff were apparently all attending a "private do". The room was clean and tidy, but the wifi didn't work. The reception staff were very good, both when we checked in and checked out and provided information about bars and restaurants nearby. The breakfast was really good. There is secure private underground parking at a cost of €10 per night. Breakfast was basic. Staff was helpfull. Soms restaurants and bars are nearby the hotel. The underground Car Park was offered for an extra pay. I found a place on the street for free. A small fridge was inside. Cattle for hot water with cups and tea / coffee were available. But good value for money. And the breakfast was very nice. Very nice to go with a dog as well. No problems when staying with a pet. Good location with friendly staff. Good place to stay for 1 or 2 nights. Breakfast is nice. 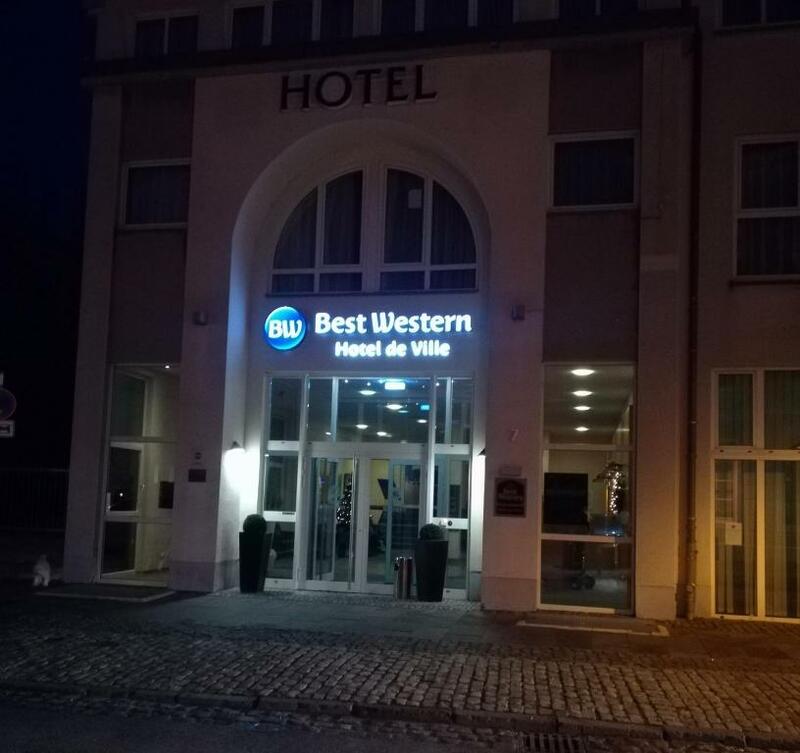 Best Western Hotel de Ville This rating is a reflection of how the property compares to the industry standard when it comes to price, facilities and services available. It's based on a self-evaluation by the property. Use this rating to help choose your stay! 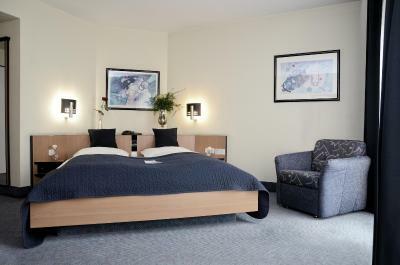 This 4-star hotel lies in Eschweiler's Old Town, 1.6 mi from the train station. It offers spacious rooms, Wi-Fi internet and on-site parking. Aachen is 9.9 mi away. 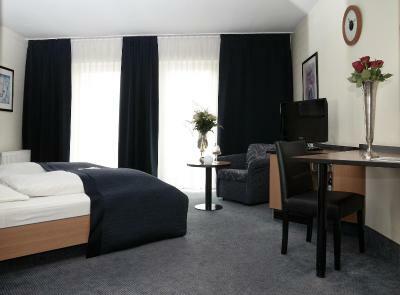 All rooms at the Best Western Hotel de Ville are comfortably furnished and have a mini-bar and satellite TV. A rich breakfast buffet is available each morning in the Gallerie Restaurant. The Bistro de Ville serves homemade meals from Mondays to Saturdays. 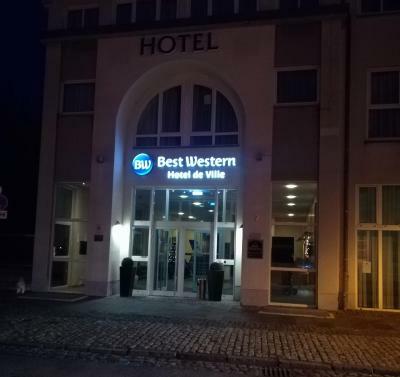 The business corner and reception of the Best Western Hotel de Ville are open 24 hours a day. When would you like to stay at Best Western Hotel de Ville? House Rules Best Western Hotel de Ville takes special requests – add in the next step! Best Western Hotel de Ville accepts these cards and reserves the right to temporarily hold an amount prior to arrival. Please note that the Bistro de Ville is open from 18:00 from Mondays to Saturdays. It was a bit dated and nothing was open. Having driven 600 km that day I needed a pint.... There were no tea making facilities in the room. Small shower with low water pressure. Hotel at busy street. No car parking at hotel so you have to park somewhere around. Restaurant staff was on holiday during a holiday, which is pretty strange for a hotel. No airconditioning at room. Ordered a 2persons bed, but get 2x 1person bed. Bad was not superb. I did not visit restaurant because I was too tired and it was only a short stay. I am missing Air Conditioning. A little loud because of the close by motorway, and a little cold. I couldn`t really figure out the heating system. The sink is stragly in the room, not in the bathroom. And the foor to the bathroom was in very poor condition. Chipüping on the door and very outdated. Stayed with friends in 2 rooms - both rooms had problems next morning with no hot water for shower or washing. At best it was tepid but had warmed up a little after breakfast. Also curtain was missing from around the shower in 1 room so water on floor in bathroom.